My friend Dominic’s girlfriend is an amazing chess player. She sees four or five, or even more moves ahead. However, when it comes to planning a trip, she fails horribly. Somehow her ability to see many steps ahead vanishes as if she becomes foresight-handicapped. Dominic starts to pull his hair out (figuratively, not literally; he shaves his head) trying to understand this paradox. “Chess is a strategy” is the latest ad I saw on Facebook. Many people would assume that she, being a good chess player, automatically is able to transfer that knowledge from a chess domain to a trip domain. In other words, it is like that of a photographer who knows how to take nature photos, but fails when it comes to taking wedding photos. Or a history teacher who understands historical mistakes, but fails to protect himself from his own repeated mistakes. Or that of a dictator who failed to learn from previous dictators destiny. Or someone who has excellent written communication as a social skill but fails to communicate orally. Or who is good at making friends with people on Facebook, but fails to do so on LinkedIn. Or of an interrogator who fails to a read poker face when playing poker. As for myself, I was a senior programmer at Accenture. Being a programmer improved my ability to pay attention to details in programming codes. My ability to pay attention to details was improved with experience and time in writing and debugging codes. However, I continue to make some of the same grammar mistakes in writing English. 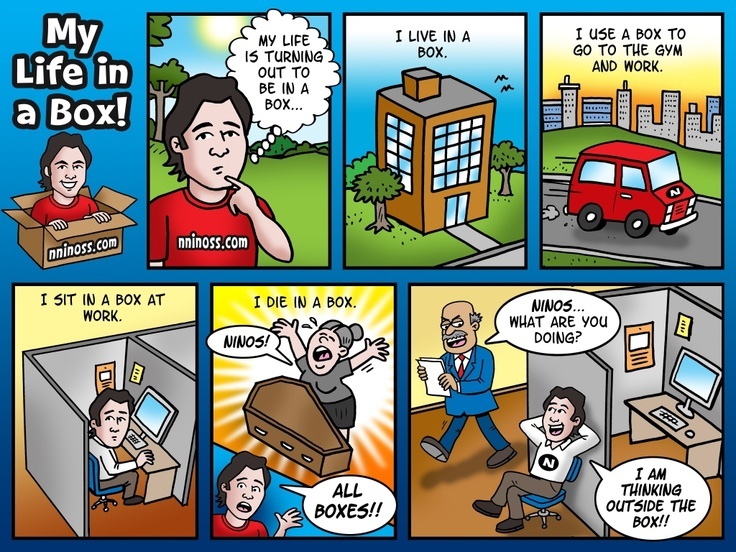 “Thinking outside the box” is a common aphorism used in various areas. Domain transfer of knowledge is our path to break through the box and start thinking outside of it. Our creativity comes from being liberated from that box. Whether we are in search of a solution or trying to find an answer, or creating a new product, we must improve our ability to transfer our knowledge from one domain to another. With this concept, I hope you find it as useful as I do. This could be a thinking tool like an app for our subconscious to use it (more on this in future blog). The area on which I will be focusing the most is to try to implement the knowledge I gain through reading books to my personal life. « Where Fat Tony Meets Big Tony!